Whirlwind of a Week! Oh yeah and… See you later Delhi! It’s been a while! 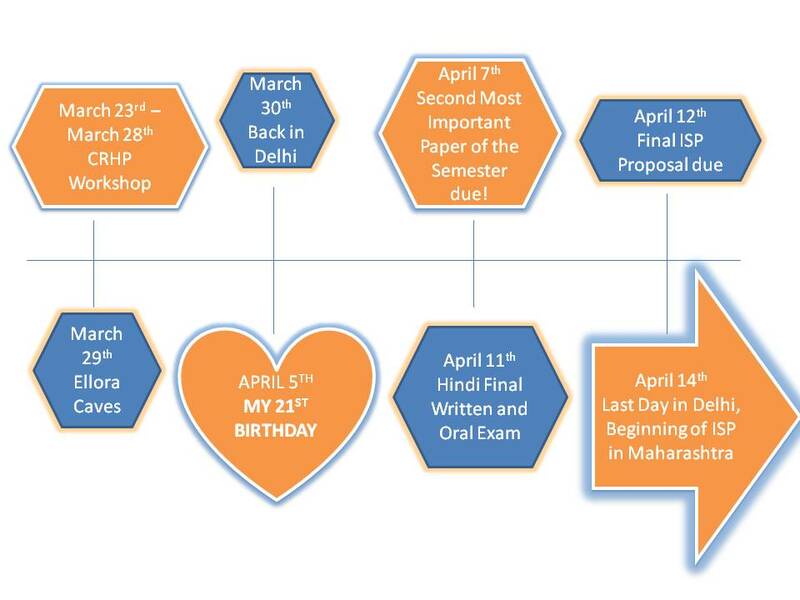 It has been a busy April so far and there is much to catch up on. I’ll give you a timeline of my last two weeks. According to my roommate, this timeline might be a little hard to understand, please read up and down while reading it! My goal is to update you on everything that is said within my timeline. Wish me luck! CRHP stands for Comprehensive Rural Health Project and it is the most amazing NGO I’ve been to in India. Here’s a link: jamkhed.org , Their entire mission is to help the rural poor and marginalized. The organization was founded in 1970 by Drs. Raj and Mabelle Arole; they were very dedicated to providing healthcare to the poor and underrepresented that in their marriage vows, they vowed to each other to devote their life to the cause. 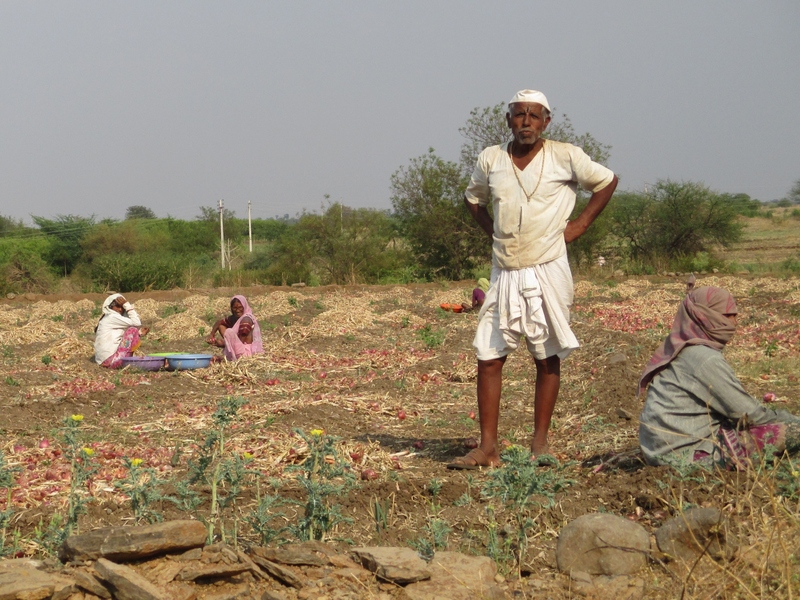 In the founders eyes, to truly help a poor village, one has to follow the Jamkhed Model. They created this model that other organizations and the WHO adopted. The model includes three main aspects of CRHP which is Village Health Worker (VHW), Mobile Health Team (MHT) and Julia Hospital. 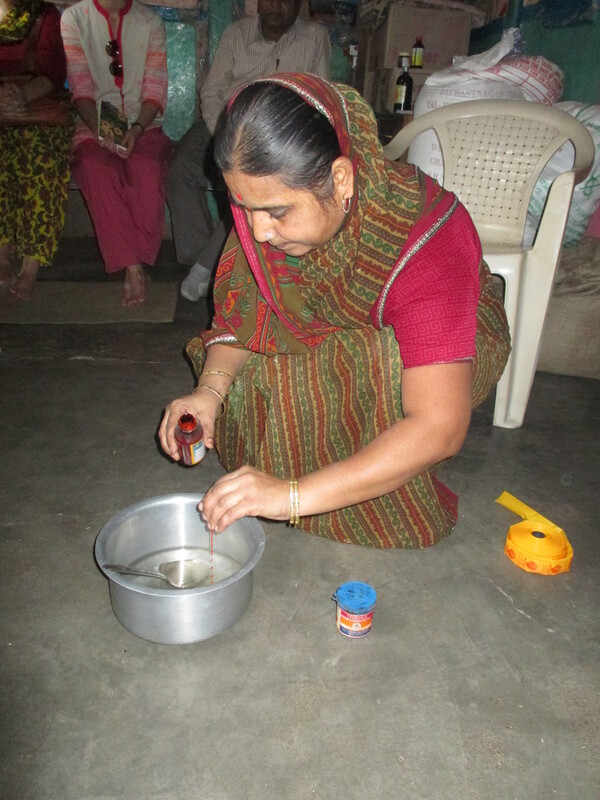 VHW’s are women selected by their own community that are usually illiterate and low caste. Becoming a VHW gives these women confidence and major leadership roles within their villages. People that once saw them as useless, see them as doctors and healers. 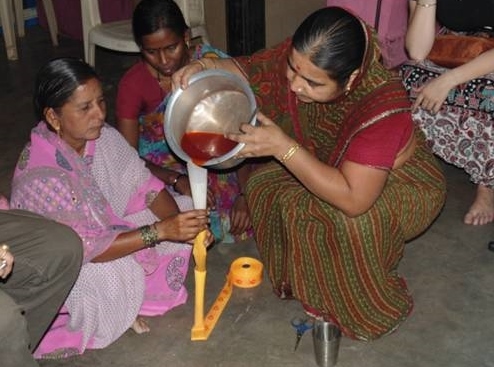 This empowers both women and their village. The Mobile Health Team provides support to the Village Health Workers by traveling weekly to different villages to provide help with formation of community groups (Adolescent Girls and Boys Groups, Women’s Self Help Group and Farmer’s Club) and helps connect CRHP organization to the community. These groups give the community an outlet to speak about their issues and come up with solutions. The MHT includes a physician, a paramedic and a couple of social workers. Julia Hospital, which is being run and owned by CRHP, it serves 500,000 people and has 50 beds. It is updated with some of the best machinery. Cost of services are subsidized and based on a person’s income, “CRHP can serve the poorest of the poor”. Khadkat Farm – is used to demonstrate to local farmers sustainable farming techniques which will help provide continuous income to the farmers. Mabelle Arole RehabilitationCenter (MARC) – is a farm for women that have survived domestic abuse and those suffering from HIV/AIDS or TB. The women help run the farm and receive a monthly stipend. This womancontracted HIV/AIDS from her now deceased husband and was treated horribly from her family members and community members which led to one of her parents killing her child because of her disease. Throughout all the misery, she still has a smile on her face. Joyful Learning Preschool – educates 50 children (between ages 2 and 5) from the slum across the street. Students are given two healthy meals a day and are taught about “hygiene, health, reading, sharing and creativity in both Marathi and English”. Two kids from the Joyful Learning Preschool playing with my sunglasses and posing for the camera. Artificial Limb Workshop – CRHP provides subsidized artificiallimbs to people with low incomes and the limbs are made of locally available materials such as wood, plastic, iron, etc. Helping Hands Initiative – provides women from Jamkhed employment and skills training. Adolescent Programs – helps educate the youth of Jamkhed on reproductive health, the environment, gender equality and mental/physical health. 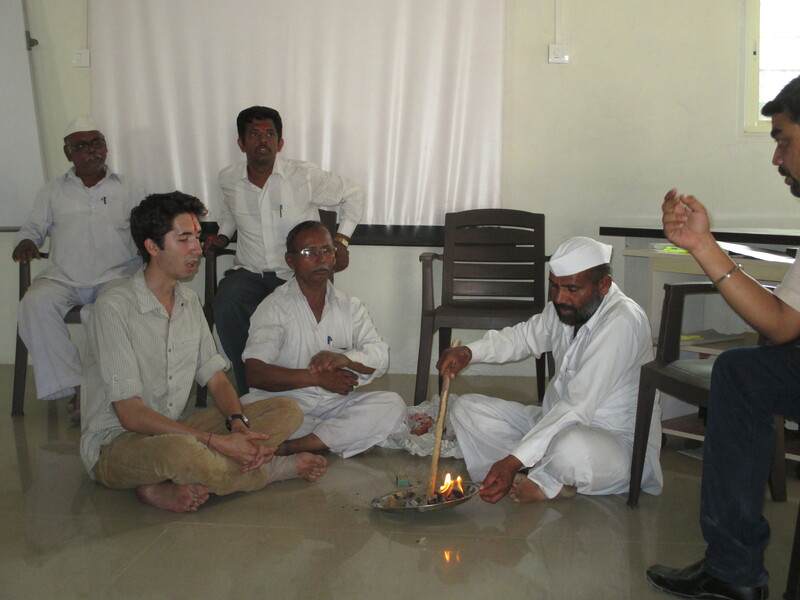 Farmers Club – helps educate 40 – 50 farmers on watershed development, organic farming, and changing men’s attitude of women. 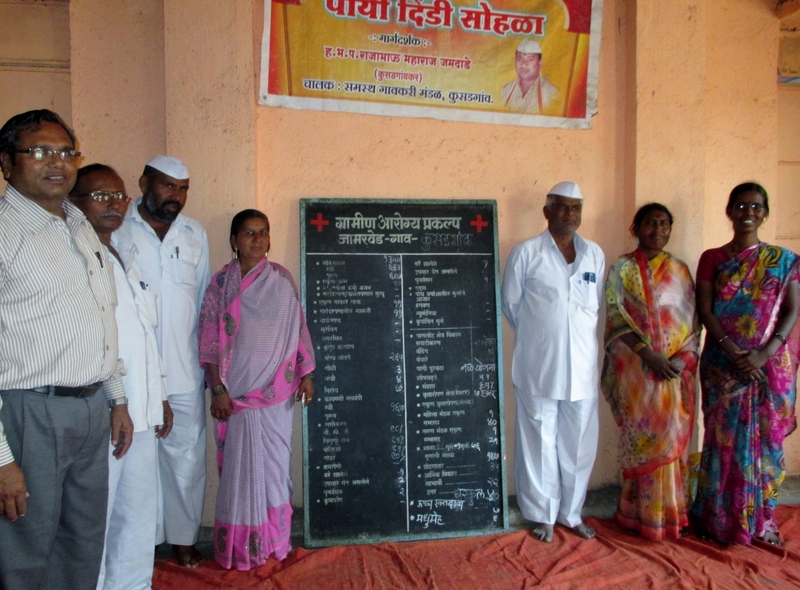 Self Help Groups – Speak on health issues, social issues, entrepreneurship. Even though we were there for school, we also had some fun. Below are some fun pictures from the week. On our last day, we visited the Ellora caves which is located in Maharashtra, “Ellora, with its uninterrupted sequence of monuments dating from A.D. 600 to 1000, brings the civilization of ancient India to life. Not only is the Ellora complex a unique artistic creation and a technological exploit but, with its sanctuaries devoted to Buddhism, Hinduism and Jainism, it illustrates the spirit of tolerance that was characteristic of ancient India.” (http://whc.unesco.org/en/list/243). Below are some pictures of what we saw! I turned 21 on April 5th, but my birthday celebrations started a couple days before. You only turn 21 once, right? In a nutshell,I had a great birthday: my friends and I traveled to Gurgaon (Cyber City) for this ‘Ladies Night’ thing at this restaurant bar and I went to the movies and saw Captain America, bought my first saree for my presentation in May, got a fruit facial and a full body oil massage and finally my family and I went to this sports bar to see the final cricket game between India and Sri Lanka. Also, I would like to shout my roommate out (Robyn Gibbons) for trying her best to give me the best, most memorable birthday ever. Cheers to my 1st LEGAL drink! I studied hard, I think I did well. My little host brother helped me with the project. It was a whole day affair. I think that’s all I am going to say about Hindi for now (we need some space from each other). Guess What?! I’m currently on my ISP in Maharashtra for the next four weeks. Before I go on, I need to explain what an ISP is. Specifically for SIT Study Abroad Programs, an ISP is basically undergraduate research or field work. In the end, I will produce a 30-40 page paper and presentation to my classmates, staff and academics from India. My ISP will be about Dalit women and their access to health. The “Dalit” communities are looked down upon because of their placement within the caste system. This community is one of the most marginalized groups in India especially within the rural parts of India where the caste system is still a factor in how individuals are treated.. Caste system is perpetuated because of birth, intermarriage and food sharing. Dalit women are discriminated against doubly because of the intersectionality of being a woman in India as well as being a part of the Dalit or Untouchable community. These determinants can affect their access to good healthcare, hygiene, clean water and etc. I’ll be interviewing Dalit women in rural Maharashtra about discriminatory practices (in the sense of health) and how that has affected themselves and their family. When I’m done, I’ll post my abstract for everyone to see. I am pretty nervous because this can be a stepping stone for one of my senior thesis or my future career path. However, I have faith that I will be able to get this done.